What is a Unicellular Eukaryote? Life on Earth consists of prokaryotes and eukaryotes. Prokaryotes are single-celled micro-organisms with no defined nucleus; their DNA floats in a circle inside them, and they have no organelles. Eukaryotes can be unicellular or multicellular. Eukaryotes carry a defined nucleus, which houses DNA and organelles such as endoplasmic reticulum, mitochondria, the Golgi apparatus, and in the case of plants, chloroplasts. Unicellular eukaryotes comprise the majority of species, and have existed on Earth for billions of years. Unicellular eukaryotes are single-celled micro-organisms with a defined nucleus, mitochondria and other organelles. They include phytoplankton, or algae, and zooplankton, or protozoa. Unicellular eukaryotes originated billions of years ago. Eukaryotes likely descended from prokaryotes. Mitochondria may actually be an example of an amalgam of two prokaryotes, one consuming the other. The smaller bacterium could have survived after consumption and produced energy while the larger bacterium provided nutrients, and one theory holds that this symbiotic relationship led to eukaryotes. As for genomics, scientists continue to tease out at what point Superkingdom (or Domain) Eukaryota split off from the others, Bacteria and Archaea, as tiny protists prove to be more diverse than originally thought. Examining the microfossil record indicates that ancient unicellular eukaryotes evolved some time between 2 billion and 3.5 billion years before the present day. Most algae are unicellular plants and are also known as phytoplankton. Phytoplankton, as tiny plants, generate their energy from the sun via photosynthesis. They possess a cell wall. Since they perform photosynthesis, phytoplankton are sensitive to the position of the sun and the length of days, and may bloom or succumb according to seasons. These tiny organisms make up a major part of the food web, particularly in oceans. Even in the Antarctic they thrive and provide food for krill, a keystone species other Antarctic animals rely on to survive. Algae provide approximately 70 percent of all oxygen on Earth. Examples of these plantlike protists include green algae, diatoms, brown algae and slime molds. Protozoa are tiny, unicellular animals, also called zooplankton. Protozoans function as minuscule animals by feeding, expelling waste and reproducing. Their food may consist of other protozoa, phytoplankton or bacteria; they cannot produce their own food like plants. They provide another essential element of the food web, along with phytoplankton. Protozoans can live in many different types of environments, some quite extreme. Numerous examples of protozoa exist. Amoebas use their locomotive extensions called pseudopodia to move around. Foraminiferans, which live on the sea floor, secrete calcium-based shells, which form the basis of sedimentary rock and historically served as indicators of oil sources. Radiolarians secrete radial, silicon-based shells. Flagellates, as their name suggests, bear flagella for motility. Trypanosomes mostly reside as symbiotes inside larger animals, although some are disease vectors, such as in the case of African sleeping sickness. 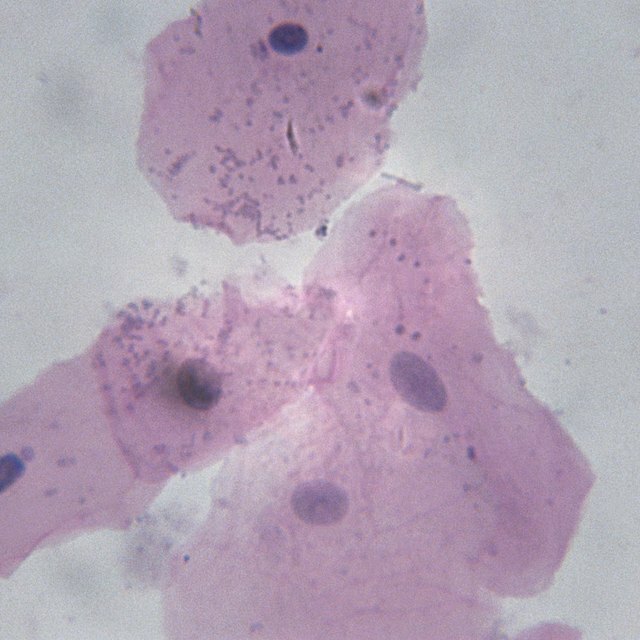 Paramecia possess cilia on their surface and stinging units called trichocysts. Other ciliates include blepharisma, stentor and vorticella. Scientific American: When Did Eukaryotic Cells (Cells With Nuclei and Other Internal Organelles) First Evolve? National Park Service: What Is a Microorganism? What Features Do Mitochondria and Bacteria Share? Do All Cells Have Mitochondria? How Do Mitochondria & Chloroplasts Resemble Bacteria? Dianne, J.. "What is a Unicellular Eukaryote?" Sciencing, https://sciencing.com/unicellular-eukaryote-13012.html. 23 April 2018.